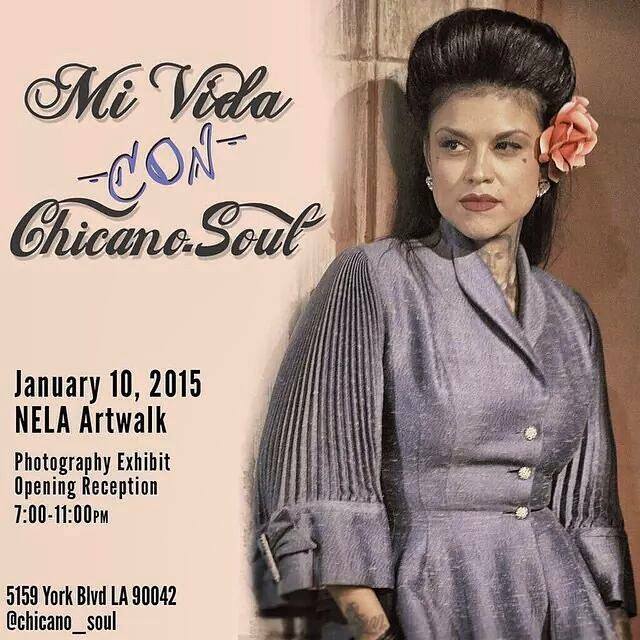 What best way to start the New Year 2015 but to be on the right state of mind-representing and respecting our Chicano/a Culture here in the beautiful city of Angels with an exquisite and soulful photography exhibit of our Brown and Proud Chicano/a Cultura. I always show my love and 100% support to the Primas and ladies at Mi Vida. So please come and show your love and support too for this upcoming NELA Art Walk at Mi Vida Boutique which is located at 5159 York Blvd. Los Angeles, Ca. 90042. The exhibit will begin at 7:00pm thru 11:00pm. Make sure you come dress to impress and show your most firme style.